Looking For Ear and Eye Exams in Harrisburg, PA? Visit Us Today! The gifts of vision and hearing are precious and yet many of us take our vision and the health of our eyes and ears for granted. At Central PA Eye & Ear, we are committed to helping you preserve the health of your eyes and ears no matter what your age or physical condition. 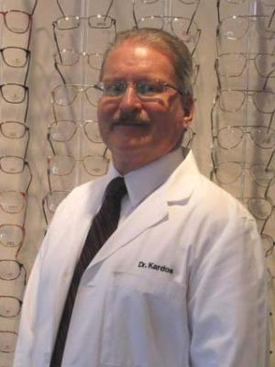 Our optometrist in Harrisburg, PA educates our patients to ensure they make the most informed decisions possible concerning the care of their eyes and ears. Along with our incredible eye care, our team also offers a great selection of eyeglasses and contact lenses. To find out more about us, feel free to stop by our convenient Harrisburg location! We take pride in building lasting relationships with our patients, which is why we take the time to get to know you, your vision and your hearing requirements and your lifestyle needs. Ready to get help with hearing loss? Central PA Eye & Ear can support you on your journey back to better hearing. Dr Kardos: Advanced Technology – Dr Kardos uses state-of-the-art diagnostic equipment for early detection of any abnormalities of the eye. Dorothy Kardos: Dorothy Kardos has over 25 years of experience helping people of all ages improve their lives with better hearing AND prevent hearing loss using custom hearing protection. Starkey Hearing Technology: Dorothy has been identified as a Preferred Provider by Starkey Hearing Technology, the only American owned major hearing aid manufacturer. Follow-up Care: We schedule several follow-up visits for new hearing aid fittings to lead and guide you on your journey to better hearing. Life-long follow-up care and maintenance after your hearing aid fitting is included. Off-site visits: If you are unable to travel to our office for hearing services, an appointment can be scheduled in the comfort and privacy of your own home. Visits to care facilities and rehabilitation centers can also be scheduled with Dorothy. Specialty Hearing Devices: Dorothy is registered to fit many specialty hearing devices, including CROS and BiCROS hearing technology for individuals with single-sided deafness. Other specialty products available include custom hearing protection for musicians, hunters, motorcyclists, and those working in loud environments. We also fit broadcaster’s earmolds and musician’s in-ear monitors. 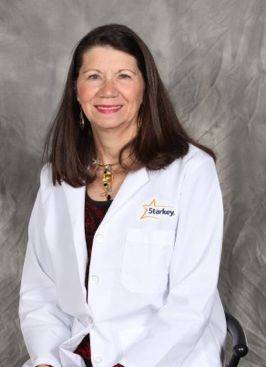 Dorothy Kardos is also an active participant in the HearNow program administered by the Starkey Hearing Foundation. She accepts old hearing aids to be donated to the Foundation which provides hearing aids at a nominal cost for those qualified for the program. She also provides hearing services and fitting of hearing aids at no cost to applicants for this program. More information can be found at www.sotheworldmayhear.org. Don’t take any chances with your vision or hearing. Call our hearing specialist and eye doctor in Harrisburg, PA today at 717-236-2753 to schedule your consultation. Central PA Eye & Ear is located in downtown Harrisburg, across from the State Capitol – schedule an appointment today. Our eye care and hearing specialists serve Camp Hill, Lemoyne, Wormleysburg, Enola and Marysville, PA. If you have a moment, please give us your feedback about our site and your experiences with our eye and ear office. Let the world know you are a serious player with sports glasses. Whether it's little league or Pro ball, protective eyewear for sports reduces risk to eye damage and often boosts performance due to the high quality of vision safety glasses offer. Learn more about the benefits of protective sports eyewear for you and your family. If you or someone you know has trouble hearing on the phone due to hearing loss, you may be eligible to receive a complimentary CaptionCall® phone with free captioning service. 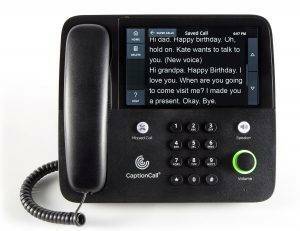 The CaptionCall® phone displays smooth-scrolling captions of what your callers say on a large, easy-to-read screen while simultaneously providing the most powerful amplification available and superb audio quality. It lets you hear and read your phone conversations so you won’t miss a single word. The AMA recommends a baseline evaluation at age 50 if you have no problems and then a yearly hearing screening. As soon as possible if you or your loved ones have noticed a hearing problem. Turning the TV up louder than necessary for others to hear, misunderstanding speech, asking people to repeat or feeling that other people are mumbling are just a few possible symptoms of a possible hearing problem. Regardless of age, yearly screenings are recommended for those with a history of diabetes or thyroid problem, a family history of hearing loss, and if you are taking any medications which may cause a hearing loss (check with your doctor or pharmacist). Have you Heard the Latest News in Hearing? Hearing Aids are going Wireless! Hearing Technology is jumping ahead by leaps and bounds. Recent advances now allow you to use your smart phone to make your hearing aid work with your wireless network- which allows you to do things like pull sound from your TV, hook up a directional microphone to your hearing aid and more. Hearing Aid Accessories have gone Wireless! In case of a genuine eye or ear emergency, please phone our office at 717-236-2753. If you are calling outside normal business hours, please call the office number and listen to the automatic message for further instructions.